Hello, world. 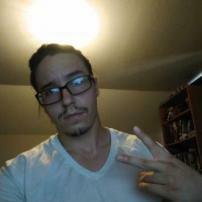 My name is Dillon Jensen and I am new to freelance writing, but I have been an avid writer since my high school years. My niche is more so with poetry, as I have published some of my work, but I enjoy writing about the news also. If you would like you can feel free to follow me on Instagram @dillonleejensen to get a better feel for my poetry. By trade, I am a physical therapist assistant who loves weight training and PC gaming. Thank you for reading.